1. 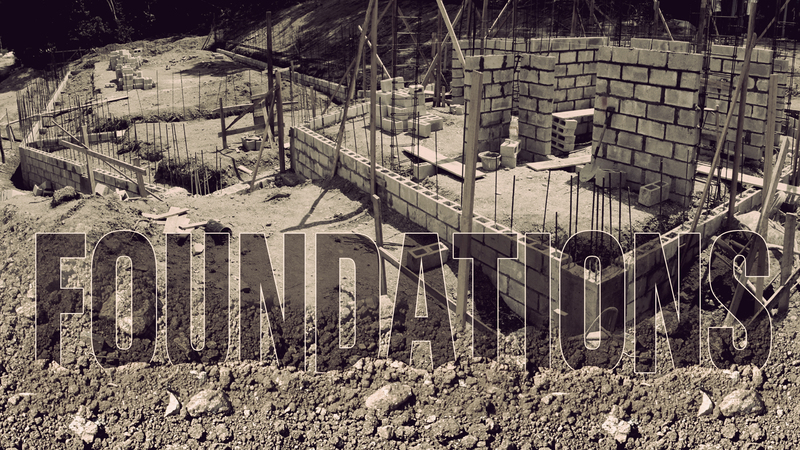 Your Foundation is more important than you know. – Jesus shares in Matthew 7:24-27 that if you build your life on the solid foundation of TRUTH (His Word) then you are wise and will be able to withstand the difficulties of life. If you choose to build on anything else, it’s just foolishness. 2. Your Foundation determines WHAT YOU CAN BUILD – If you want to experience the kind of life Jesus offers (John 10:10), then you will have to put His words into “practice”. 3. Your Foundation is determined by WHAT YOU BELIEVE – Lots of people say they believe, but what you “really believe” is revealed by what you do and how you respond to the world around you. What you believe influences every action, every attitude, and every decision in your life. If you really believe that what Jesus said is TRUTH, it will change the way you live… guaranteed. 4. Our Default Foundation Is WEAK AND UNSTABLE – In the garden (Genesis 3:1-7), Adam and Eve made a critical mistake by choosing to build their lives on a different foundation, walking away from God’s instructions and pursuing their own ideas of what was best for them. The result for them was pain, brokenness, and separation from God… and the results for us is exactly the same. 5. Jesus came to give us a NEW FOUNDATION – Jesus didn’t come to help you repair your old foundation, He came to give you a BRAND NEW ONE! There is nothing of the old foundation worth keeping (2 Corinthians 5:17). His invitation to all of us is to embrace a new way of thinking… a new foundation of BELIEVING (John 18:37, Romans 12:2). Next week: Have you ever struggled with whether the Bible can really be trusted? Next week we look at the overwhelming evidence that the Bible is like no other book in History and why it is worth building your life upon.